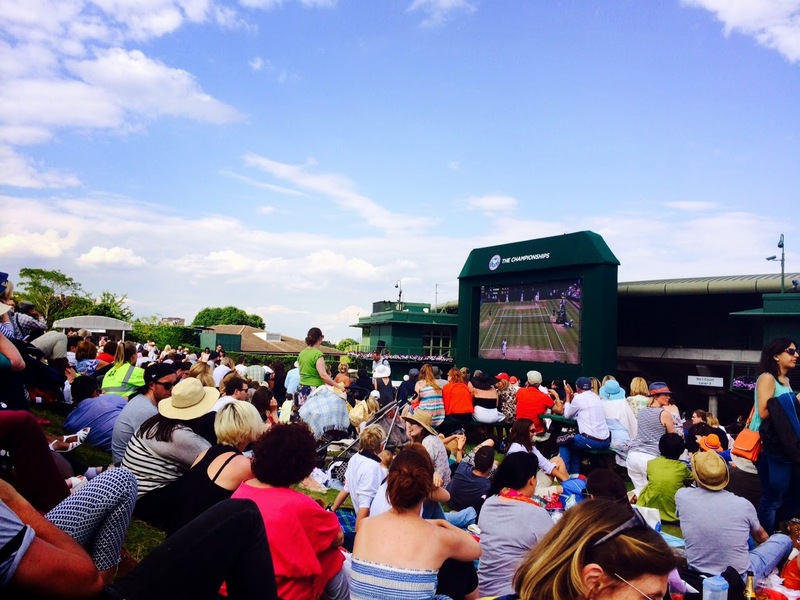 IBM have been heavily involved with Wimbledon for 25 years. 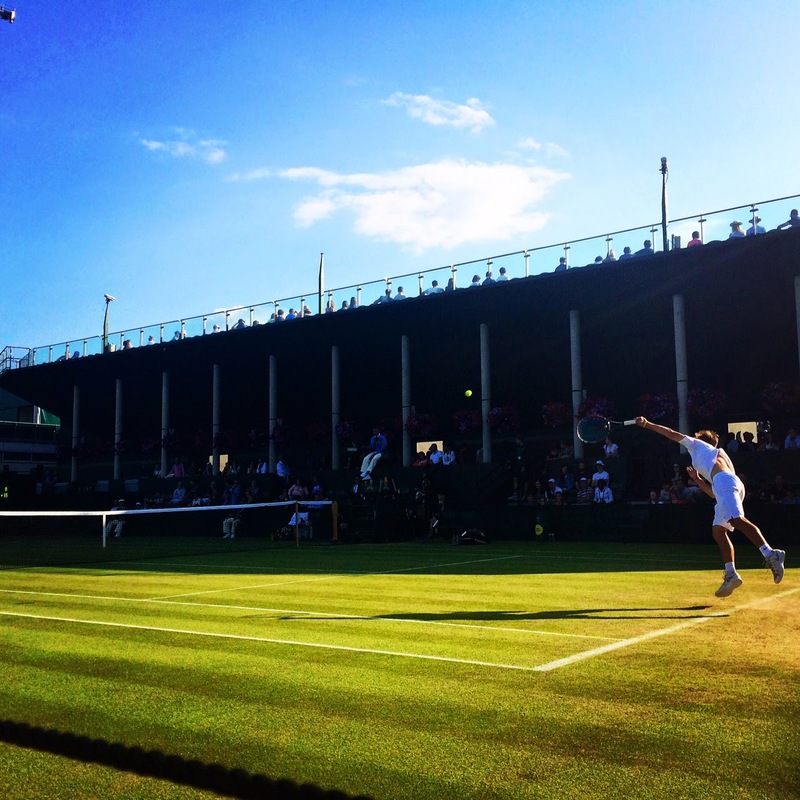 Last year, there were 1.6 million app downloads and 433 million page views on the Wimbledon website which IBM hosts and this was a 40% increase on 2012. At it’s twitter peak last year, there was 400 tweets being sent every second! 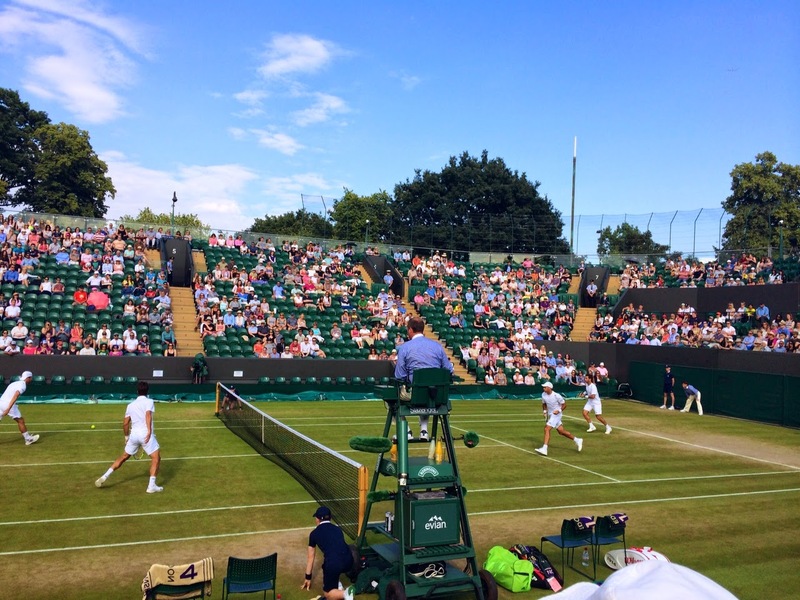 On Tuesday, my team and I headed to the grounds of Wimbledon to experience some tennis, soak up the sun and have a Pimms. 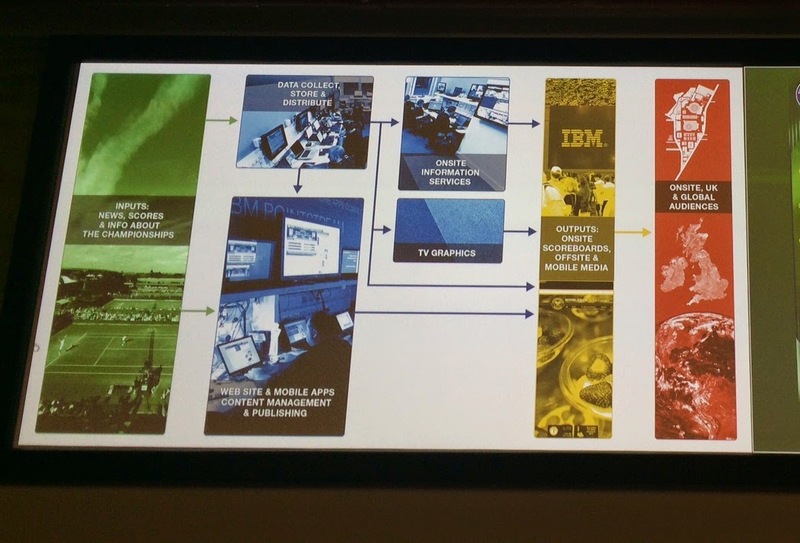 What’s great about working at IBM is that we knew the right contacts to go behind the scenes to learn more about the data and analytics involved in the competition and how that is managed and distributed globally over the two weeks! In the ops rooms, we saw how data from each game of tennis is inputted and then redistributed across the world via the app, website, and TV channels! On court there are three people inputting information about each match, noting the speed of service, unforced/forced errors, direction of serve, backhand, forehand etc. These people are tennis experts who have been trained to use our tools. This data is then compared and verified by “mirrors”, people who watch the game on screens behind the scenes to ensure data accuracy and consistency. The database of information about Wimbledon is vast, with data going back to the first game in 1877, and we could also see that the first ladies game was 9 years later in 1886. Following a match, each player gets the data on their play, just 30 mins afterwards so that they can analyse and understand how they played and what to improve on next time. Each commentator has access to the stats so they can discuss on TV and Radio. IBM Hawkeye technology tracks where the ball lands, the players, how fast they’re moving and how near the tramlines they are. No longer do we have to reply on the human to work out if the ball is in or out. In the web room, the team distribute the data digitally across the rest of the world. The aim being to give digital viewers the most fantastic experience via apps and the website, by delivering rich content to help users feel like they are there on site, as much as digitally possible.. The iPad app shows the whole site, was launched last year and shows real time data of each game on the courts. The IBM Slamtracker, analyses data from across the matches to help players understand what they need to do to win, based on previous situations and scenarios. It uses 8 years of Grand Slam Data and 41M data points to provide these predictions! The Social command centre, tracks the social sentiment and number of social networking engagements across the world. At the time I was in the social suite there were 2million tweets from the day, and we were able to see who the most influential on twitter, people such as Niall Horan as he loves tennis and there are so many one direction fans! The sentiment is monitored via positive, negative and neutral, for example after Sharapova lost, the most tweeted word associated with her game was “upset”. Alongside all this amazing technology is the Watson technology which monitors the data centres that host the website and predicts how much server space is required at a moment in time, for example when it rained the system knew that meant less visits to the website and app as there wouldn’t be much tennis playing. The data centres hosting the Wimbledon website hasn’t had any down time in 14 years – impressive systems. I’m not sure how aware people are that IBM have all this amazing technology behind the scenes at Wimbledon yet when you look into the social and data side of things it really is an impressive set of technology.